It's important to think about how we address the consumer of today and the consumer of the future rather than the consumer of the past. 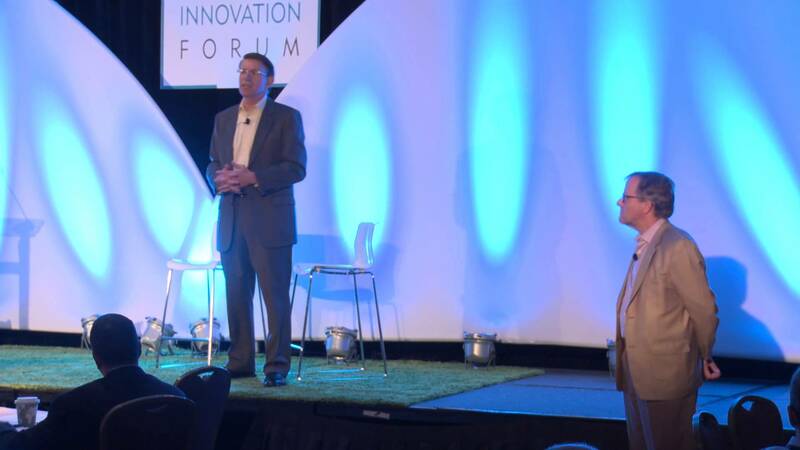 At HFIF14 in sunny Palm Springs, Don Orndoff, Senior Vice President of National Facilities Services at Kaiser Permanente, and Scot Latimer, President of Latimer Health Strategies took the stage to discuss the disruption and innovation agenda currently under way at Kaiser Permanente. Orndoff got started by discussing the general healthcare picture. Going back to 2000 there's been about "40% general inflation," and there has been "slightly more than that in wage creation." However, the cost of healthcare has gone up 182% in the same 15 years. As Orndoff said, it’s obviously “not sustainable." There's a lot of change going on in the healthcare industry. While the majority of client accounts in the past have been corporate for Kaiser; going forward, the growth in members is going to come from individual consumers. Therefore for a healthcare company to succeed, it's important to think about how we address the consumer of today and the consumer of the future rather than the consumer of the past. In order to do this one must innovate. One key takeaway that Orndoff mentioned is that "we must embrace the greater community, and the country" in "how to deliver healthcare in new and better ways." Orndoff said that Kaiser Permanente is "working from a facilities point of view to network and find breakthrough ideas." Kaiser has all sorts of ways to drive innovation such as design competitions, and a think tank with physicians and administrators. Watch Orndoff's and Latimer's exploration on the disruption and innovation agenda at Kaiser Permanente below.